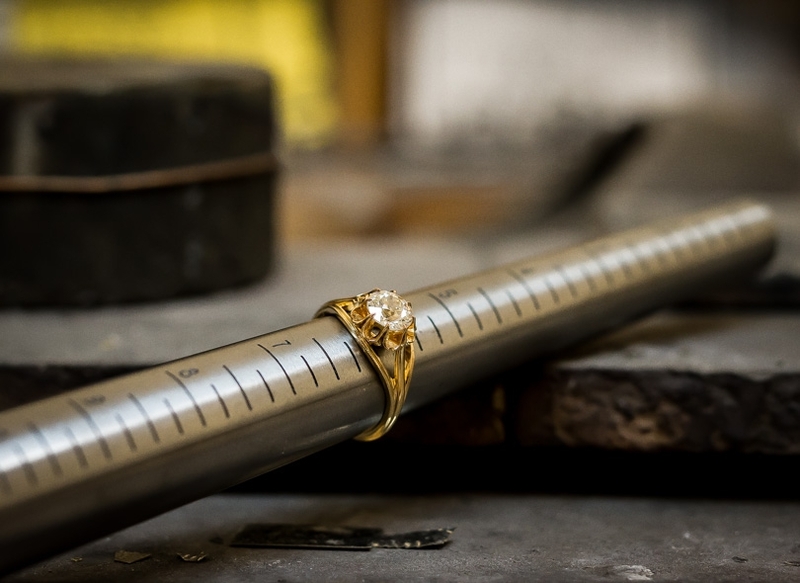 A rich dark mossy green with subtle diagonal color patterns and a small wisp of white, this slender marquise cabochon jade is presented horizontally across a handmade and superbly hand-engraved mounting crafted in rich 18 karat yellow gold. 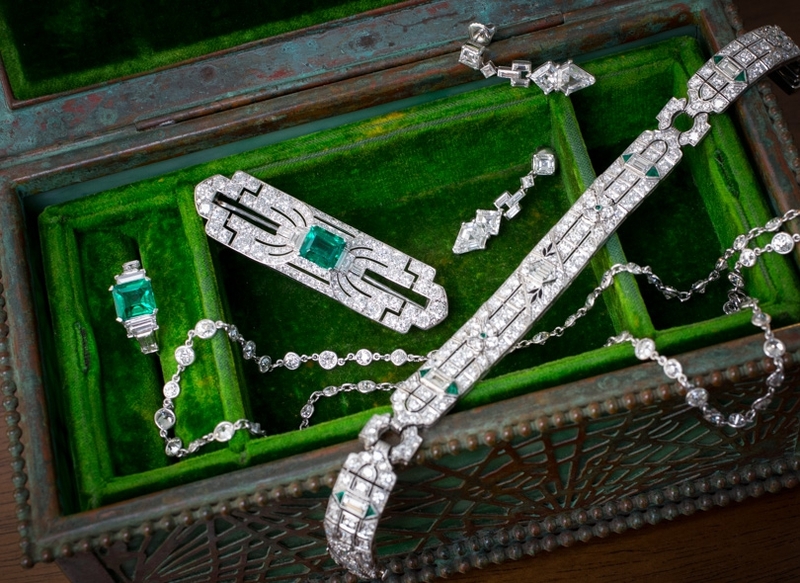 Unique, striking and exotically beautiful- circa 1930-40. 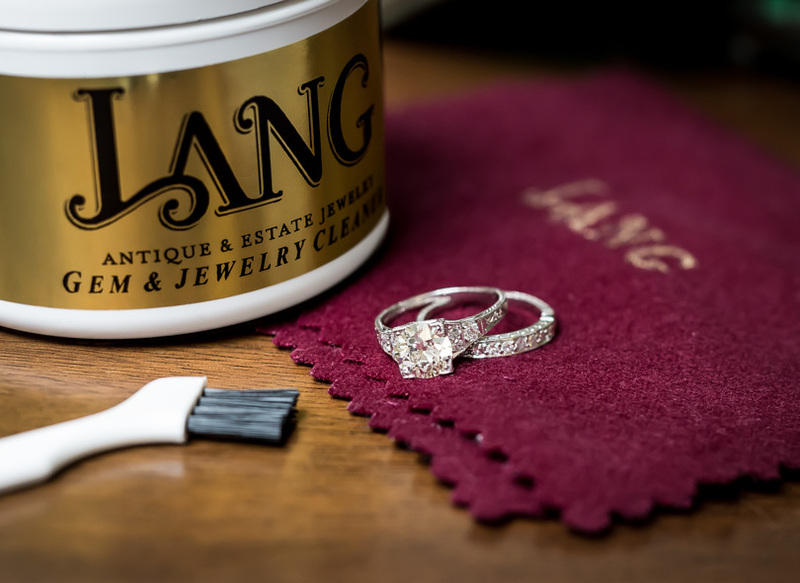 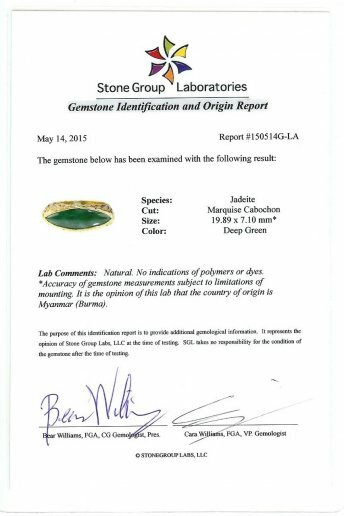 The jade ring is accompanied by a Stone Group Labs report stating: No indications of polymers or dyes. 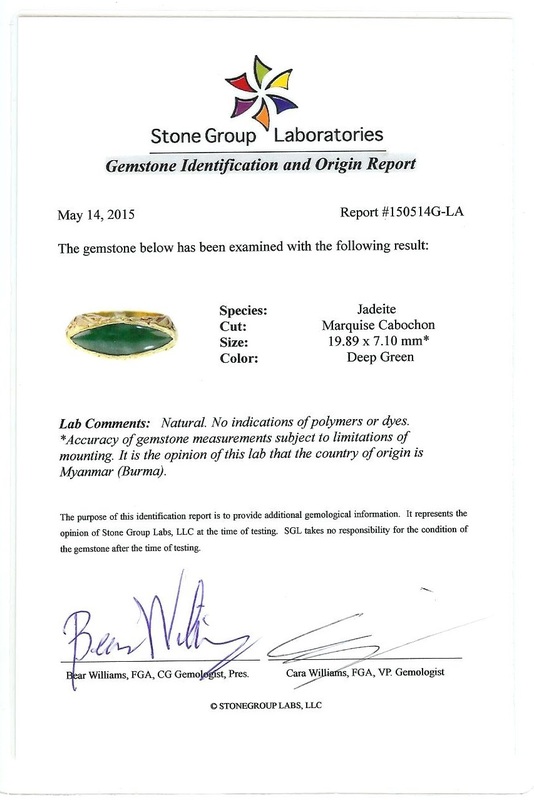 It is the opinion of this lab that the country of origin is Myanmar (Burma).